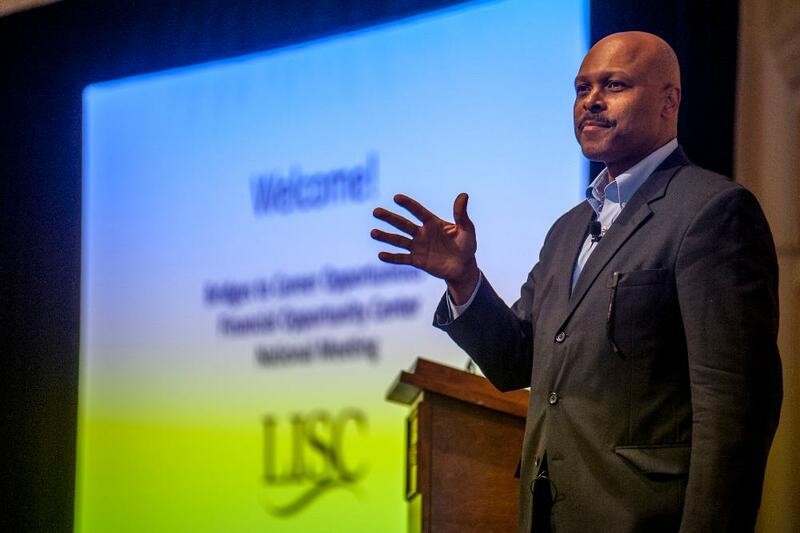 The opening plenary and panel will explore the connections between careers, financial stability and long-term success through the lens of the Financial Opportunity Center and Bridges to Career Opportunities models. Although the economy has improved over the last decade, and unemployment rates are low, economic opportunity has not benefitted all living in America. In fact, livable wage jobs are outside of the reach of many of those we serve in our communities. Ravi Norman of THOR Companies will provide the keynote address. Following the keynote, the panelists will examine the systems and policy changes that could help create a more inclusive economy. How do we ensure that everyone has an opportunity to connect to jobs created by economic development growth strategies? Whether an increased focus on middle skills training programs or employer engagement, cross-sector partnerships and aligning workforce development and education systems may help unlock economic opportunity for all. In this session, panelists from four sectors—government, philanthropy, business and higher education--will highlight ways Minnesota is seeking to connect business growth and workforce training to create a “win-win” for businesses, individuals, and the community. This session will look at external studies and research that inform our work. We will draw from the wealth of recent studies and find the applicability and relevancy to our work. Reviewing the recent Skilled Workforce’s bench-marking study, we will discuss how to work together to apply the knowledge to make adjustments in our service delivery to increase impact in our communities. We know that dosage matters in financial coaching. The evidence demonstrates that financial outcomes are much better for clients who engage in financial coaching for more than three visits. This session will explore how to create an environment that encourages long-term engagement using best practices and behavioral economics. Adult learners have a variety of needs and limited time. How do you combine teaching industry ‘hard skills’ with math and reading instruction, while simultaneously fast-tracking your participants’ readiness for post-secondary settings? Join this session to learn what’s working in contextualized bridge models, and hear from practitioners achieving strong gains in student literacy, numeracy, and credential attainment. Featured presenters will highlight healthcare and IT training initiatives. With the ever changing federal policy landscape, planning for sustainability is critical and also complicated. This session will explore how some organizations and funders have developed creative, innovative solutions to this planning challenge, ensuring the long-term sustainability of their programs. Job markets are strong (for some), hiring fairs are everywhere, and it’s hard to keep up with requests to refer candidates to job leads. But how do you help participants access quality jobs in their field? Learn how to move beyond surface-level engagements and build long-term relationships with businesses that invest in your mission. Featured practitioners will share their experiences in coordinating job development efforts at an FOC and networked collaborations that crack into choice employers. As data entry gears up in Salesforce, there is a need to understand how to extract FOC outcomes and verify for data quality. At the end of this session, participants will be able to understand and use the FOC reports and dashboards, as well as create and customize their own reports. Bmkg data excerpts LISC Conf 9.25.17.